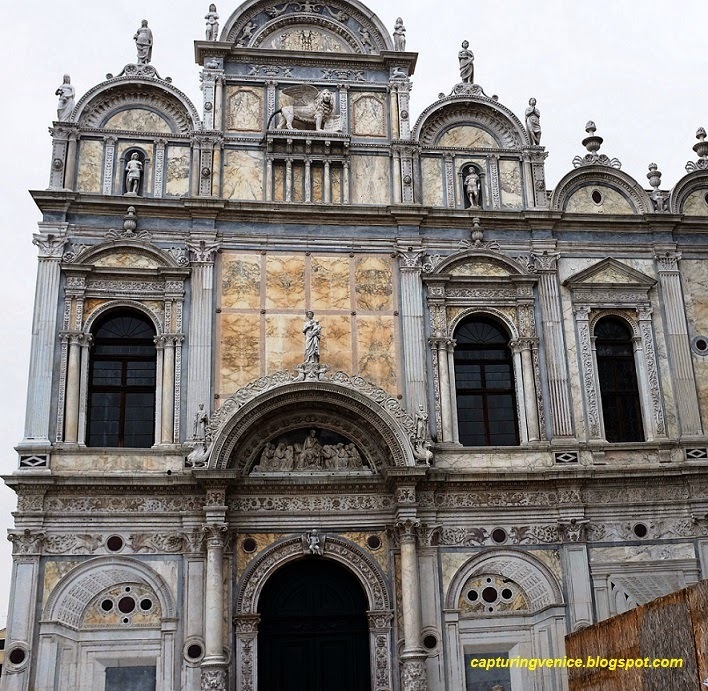 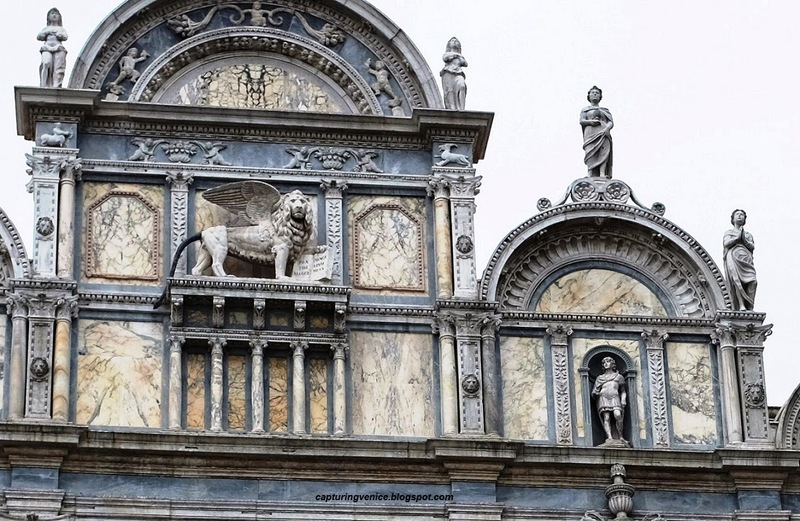 Even partially covered in scaffolding, the Renaissance marble facade of Venice's hospital, in the former Scuola di San Marco, is extraordinary. 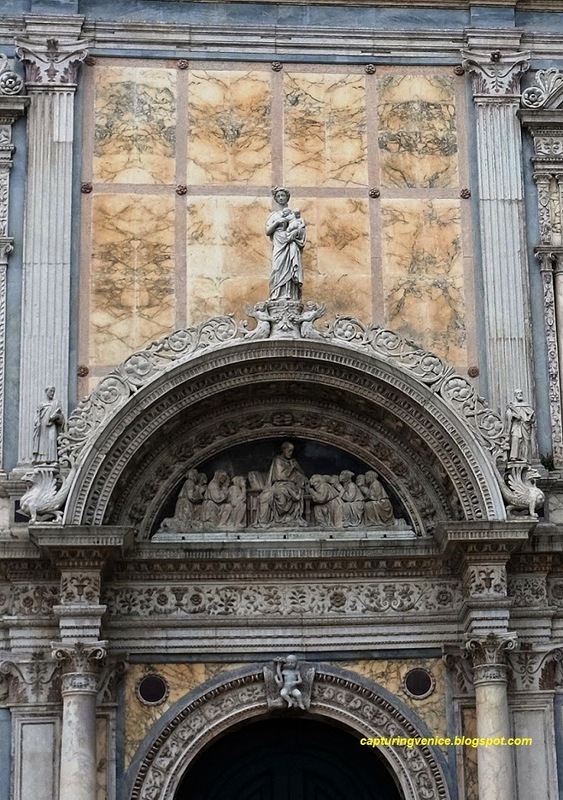 And it wasn't until I came home to Australia, and was properly reviewing my photos from the trip, that I fully appreciated the sumptuousness, the richness of the carving, decoration and coloured marbling of this gorgeous building. 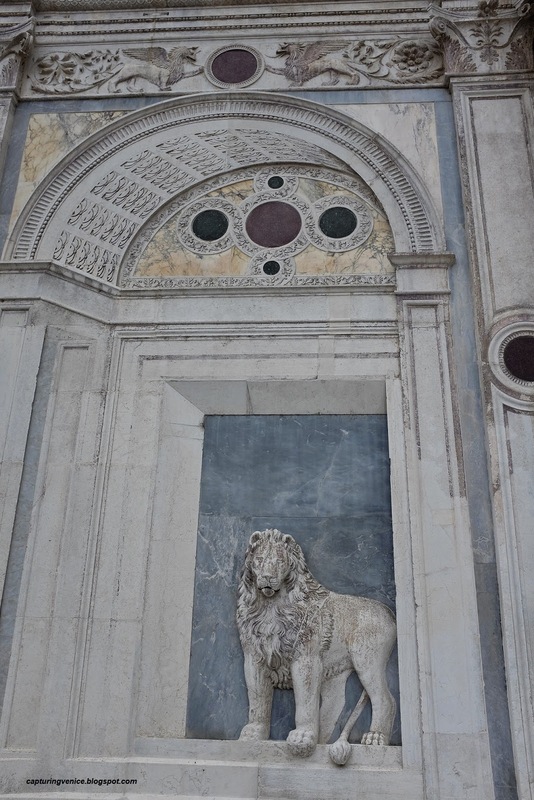 And then I enjoyed the triumphant lion that crowns the facade. 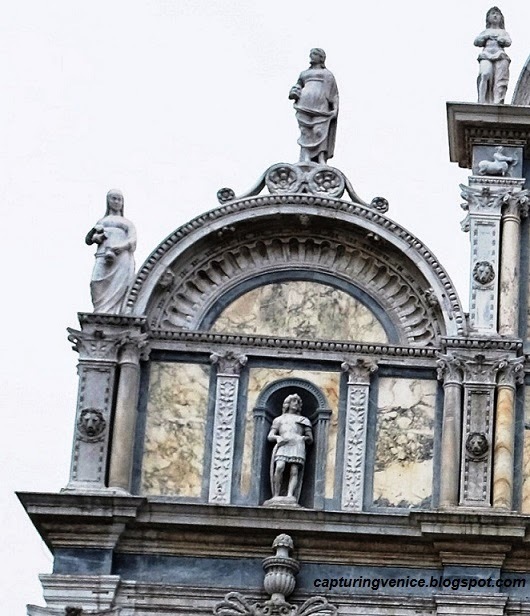 There is so much detail in that facade!